2018 is the year of Michael B. Jordan and Tessa Thompson. We got Killmonger and the new Fahrenheit 451 from him, and from her we got Sorry To Bother You and Annihilation and Westworld (and let’s not forget Janelle Monáe’s Dirty Computer). To top it all off, we’re getting both of them in Creed II this fall. 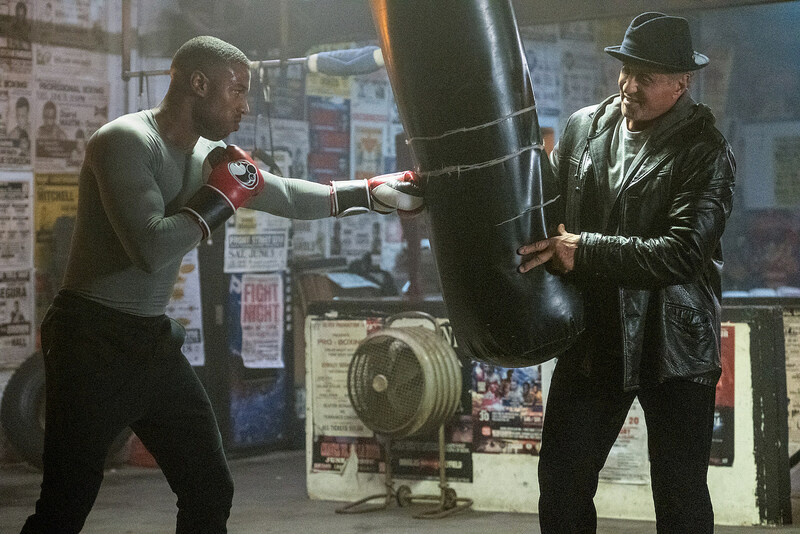 The first trailer for the Rocky spinoff dropped earlier this summer, teasing a look at Jordan’s Adonis Creed getting back in the ring. Now MGM and Warner Bros. have dropped the first set of official stills from the new sequel, which is directed by Steven Caple Jr. The photos themselves aren’t all that exciting, but you do get a look at Jordan’s Adonis training in the gym with Sylvester Stallone‘s Rocky, sporting his usual fedora. The second photo (see above) finds Adonis in red, white, and blue and ready to hop into the ring. Creed II, which also stars Wood Harris, Russell Hornsby, Florian “Big Nasty” Munteanu, Andre Ward, Phylicia Rashad, and Dolph Lundgren, reprising his Ivan Drago. Get ready for lots more Michael B. and Thompson when the film hits theaters November 21.